Mumbai-based packaged food startup Yumlane has raised nearly Rs 6.6 crore ($1 million) in a seed round of funding led by Flipkart co-founder and CEO Binny Bansal. People Group founder Anupam Mittal, MakeMyTrip co-founder Sachin Bhatia and Darius Pandole, partner at private equity firm New Silk Route, also invested in this round, two media reports said citing the company. Yumlane, operated by QwikPik Technology Pvt. Ltd, will invest the money in brand building activities, as it looks to expand its presence in Mumbai, the reports said. The company, which was launched in March this year by Hitesh Ahuja, doesn’t itself make food but gets it prepared from three vendors. It only handles the supply chain, marketing and distribution of food. Currently, the startup allows consumers to pre-order by making payment online and collect their food from the nearest store. However, it is planning to launch its consumer-facing app soon to allow clients to order directly from the company. 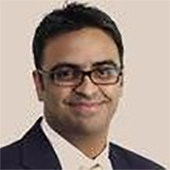 Ahuja is an alumnus of SP Jain School of Global Management and previously worked at Lebanese fast-food chain Maroosh, which is operated by Impresa Hospitality, and private equity firm New Silk Route. The startup also counts as co-founders Rueben Ghosh, who was formerly with Riyaz Amlani-led Impresario Entertainment and Hospitality, and former Morgan Stanley executive Rahul Kumar. The packaged food segment has seen several deals in the recent past. In May, Bengaluru-based packaged foods company Maiyas Beverages and Foods Pvt. Ltd raised Rs 200 crore (about $30 million then) from investors led by private equity firm Peepul Capital. The same month, Chennai's Mambalam Iyers Food Products Pvt. Ltd raised its Series A round of funding. In June 2015, Veeba Food Services Pvt. Ltd had raised $6 million from Saama Capital and existing investor DSG Consumer Partners.